Six in Your Sanctuary Jade Mountain Club has taken room service to a new and exciting level - let our Executive Chef and his culinary team serve you a sensational SIX course menu, with wine pairing, created by our Sommelier and served to you by your Major Domo, in the privacy of your sanctuary. If you like to be serenaded by an acoustic guitarist during dinner, this can be arranged. 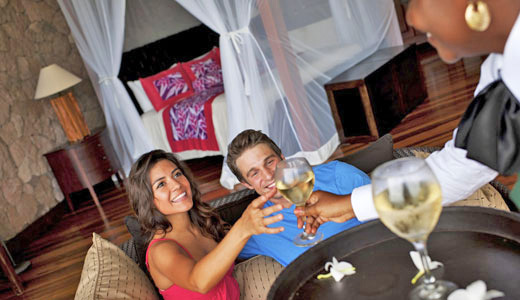 Wine Gourmet With Food PairingsOur sommelier will entice even the finest palates with the wine gourmet and food pairing adventure that can be arranged in the Jade Mountain Club or in the privacy of your sanctuary. Chefs on WheelsDon't feel like leaving your sanctuary? 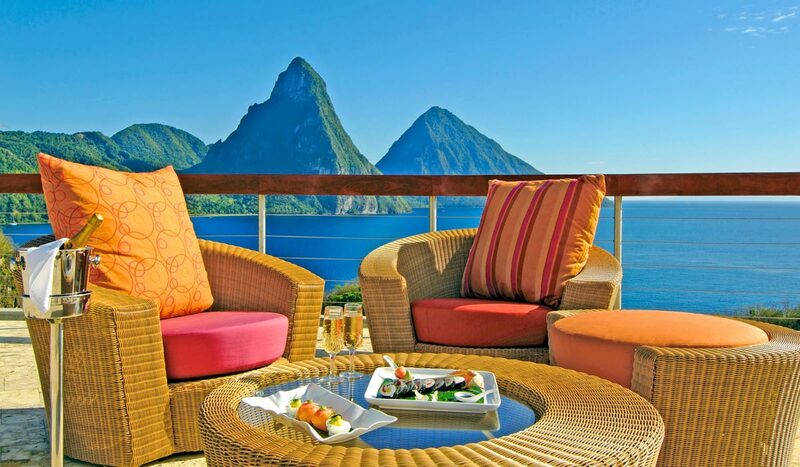 Let our Executive Chef bring his exciting Jade Cuisine right into the privacy of your Jade Mountain sanctuary. Whether you would like a private one hour cooking demonstration or whether you want the chef to prepare a gourmet meal in front of your very eyes, this can all be arranged. 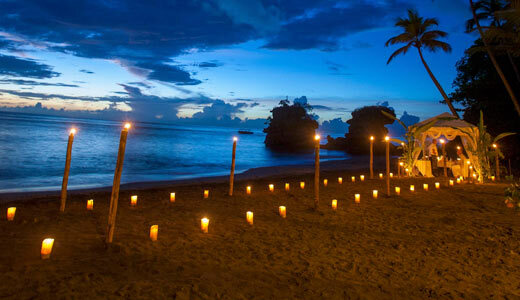 Ultimate Cast Away Dinner at Anse Mamin BeachSeeking the ultimate private dinner? If a private tent on Anse Chastanet beach is not private enough for you, then please let us arrange your very own private beach dinner on our second beach, Anse Mamin. 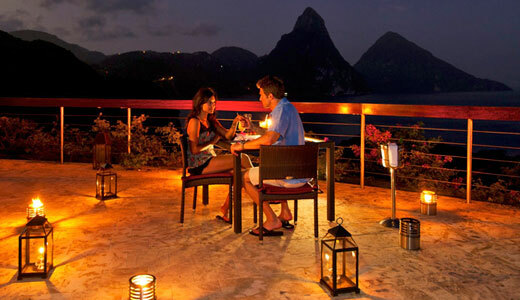 Dinner on the Celestial TerraceDine under the stars on Jade Mountain's Celestial Terrace. Enjoy a romantic private dinner at anytime during your stay. Advance reservations are required as this option is in high demand. 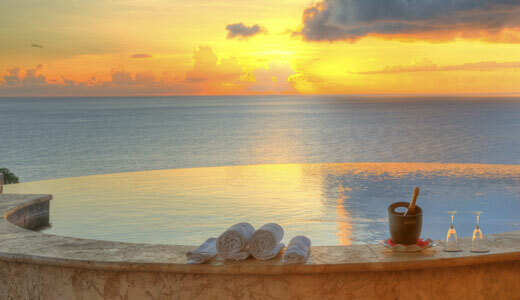 Sunset Celebration in Your SanctuaryLet us serve you your favorite wine or champagne with canapés at sunset in the privacy of your sanctuary.